Google App Engine (GAE) is a wonderful cloud computing infrastructure by Google, for building web applications using certain languages one of which has been Java – the language most popular today owing to its simplicity, robustness and quality. Based on the PaaS (Platform As A Service) model of cloud computing, it provides a computing platform as well as solution put together, as a service and hence, it turns out to be a cost effective and less complex approach as compared to others. Google App Engine for Java Application Development makes it possible to create and run web applications with the use of standard Java technologies and then execute them on the robust infrastructure provided by Google. This app engine executes the dynamic allocation of system resources for a particular application depending on the demand at that time. Interface with Java Servlets is available in the Java environment and thereby, support for certain App engine interfaces to datastores like JavaMail, JCache etc. This support makes application development easier and simplistic and also makes the application porting on the servlet environment an easy task. The app engine also supports Python and other Java related applications be it JVM based languages like Groovy and Scala. 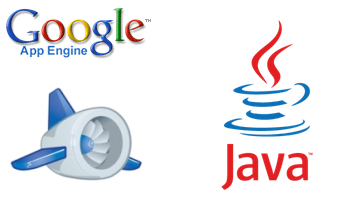 How is Google App Engine used with Java? As a Java developer, when you are using Google App Engine, the application will be developed normally with the help of Eclipse IDE and deployed to GAE from Eclipse with the click of a button. It is such an easy task. This is possible because Eclipse has a plug-in which lets you develop an application and lets you deploy the same on to FAE without many hassles. There are two different options available for data storage when you are working with GAE. Either you use Google Data Store (a NoSQL database) or use Google Cloud SQL (MySQL – a traditional RDBMS). The Eclipse plug-in deals with the addition of new project wizards and the Java app engine allows it to develop good quality web apps with the help of Google Web Toolkit (GWT). This Eclipse plug-in includes in its package, the App Engine as well as GWT SDKs. GAE has been popular with multiple languages like Python, Java, Go and PHP, by using existing frameworks like Spring, Flask etc. It is also possible to integrate other known technologies like Node.js, Hadoop, MongoDB etc. With the development tools like Eclipse, Maven, Jenkins etc being used, the app engine SDK lets you perform testing of applications in the local environment and then let deployment be executed with easy and straightforward command line tools. The App Engine executes the Java application in a safe and sandboxed environment. It invokes the servlet classes in the apps for handling the requests and meantime gets prepared for the responses. There is so much more to discuss when it comes to the implementation of the Google App Engine, not only for Java but for various languages and frameworks. We at SPEC INDIA, expertise in Java Application Development and are keenly interested in implementing projects with such novel infrastructure.